I left the setup in the last post with a system that would email photos of the burgular off site and then an SMS message. This is a prety good solution but since nearly everybody has a phone capable of receiving picture messages it seamed like the next step is to not just email the photos off site, but to also send them as a picture message so they can be checked for false alarms even when I’m not at my computer. I went back to searching the net for a package that would supply MMS capability using a cell phone attached to a computer, not a direct connection to a bulk messaging provider. There is project called Mbuni that is a fully functional MMS gateway and relaying service as run by the cell phone providers. Normally this would run on the providers network and or at a company providing paid for content via MMS. Hidden away in the CVS for the latest version there is a add on to one of the components which will allow the sending of MMS messages via a phone. In the last post I had discounted Kannel for sending SMS messages because of the complexity. But Mbuni prereqs it so it was time to have another look at the setup. Mbuni also request a specific level of Kannel (CVS 2008-07-28 download) so because I was planning on using some very new function in Mbuni I decided to build this Kannel version from source to make sure it all matched up. In order to be able to send and receive SMS messages we are going to need the frist two on the list. Wapbox is only used if you want to provide a dial up WAPgateway. There is some good documentation for setting up the full MMS gateway version of Mbuni, but because the cell phone plugin is stil only in the development stream there is only a small sample config file and the source code. I have tried to document what I have learned setting it up here. su -c "chcon -t texrel_shlib_t /usr/local/lib/libmmsbox_mm1.so"
custom-settings = "smsc-on=lynx -dump 'http://localhost:13000/start-smsc? The interesting bits are the sendsms-url and the custom-settings lines. The sendsms-url points to the bearerbox/smsbox URL from setting up Kannel earlier which Mbuni uses to send the notification about the new mail. The custom-settings line is a lot more complicated, it is basically a mini config file all of it’s own. The two entries that start with smsc-on and smsc-off are commands that the custom library built earlier uses to stop and start the sms gateway while the MMS message is sent. gprs-on is used to start a PPP session via the phone. This can be either gprs or 3G. The code implies that this command should not return until it’s killed at shutdown, but using /usr/bin/pon on Ubuntu seams to work. So far we have been just sending static images, next comes converting the avis created by Motion to mpeg4 in a 3gp container that should be playable on any MMS capable phones. The following ffmpeg command will convert the file to the right format. Where “-i 07-20090916100019.avi” is the file created by motion, “-s qcif” tells ffmpeg to use an output file that is 176×144 and conforms to a standard that all phones should understand, “-vcodec h263” is the video codec to use. “-y intruder.3gp” tells ffmpeg to overwrite the file if it already exists. Here is an example of the Motion output. When viewed on a 2 inch screen the drop in quality is not noticeable and it is still possible to tell if it is somebody you know. So now we have actually created the content for the MMS message we need to put it somewhere mbuni can find it. In this case I put the video and text files into the /cam1 directory being server up by http server. The URLs match the entries in the SMIL file created earlier. Now we need to send the SMIL file to Mbuni along with the phone number to send it to. The following curl command will send the SMIL file and the rest of it. In this case Mbuni is running on the a machine called x-wing and listening on port 10001 (as set with the sendmms-port in the config above). The frist half is the urlencoded version of the username, password, the senders and recipients numbers and the subject of the message. The second section, after the –data-urlencode loads the SMIL file and encodes it before sending it. Now we need a to collect all of this up in a scrip to attach to the movie end action of motion. The following script first helps to prevent false alarms by ensuring that any video has at least 15 frames. Assuming that test is satisfied the orginal version of the video is emailed offsite for safe keeping, before converting the it to the 3gp format. It then adds the time and date to the message.txt before sending the SMIL to Mbuni. /home/hardillb/bin/sendMessage SMS/Outbound "TO: +447703xxxxxx MESSAGE: possible intruder"
The frameCounter was a script I had run up earlier for a different project, made sense to reuse it here. So this is a project I’ve been picking away at for some time now, adding new bits along the way. I was looking for a way to keep an eye on my flat while spending a lot of time on the road with work. While hunting around online I found a reference to a small application called Motion which will monitor a web cam and can trigger alerts when the image changes. Along with the alerts it can capture the images or video of what has changed and has filters to detect the gradual changes as it gets light or dark during the day. My motion config file is in the Resources section at the end. Originally I had to build Motion from src, but it was recently added to the extras rpm repository I use with Fedora 11. Once installed it’s relatively easy to configure, initially I just had to update the config file (/etc/motion/motion.conf) point it at my web cam (/dev/video0) and a directory to save the images in. Motion has a number of useful features, once running you can update all of the settings via web interface and it will also stream the video from the camera on a different port which is good for testing. There is also a REST style interface which can be used to turn the motion detection on and off, more on that later. Where %f is the path to the image and %H:%M%S %d-%m-%Y is a time and date stamp. This sends a mail with the time and date in the subject and the image in the body. So that was not a bad solution, I normally run Thunderbird or have the gmail manager plugin for Firefox running so I get updates about new emails relatively quickly. But then I ended up at a customer who would not let me hook my laptop up to internet while in the office so I started to look for a different notification mechanism to add on as well. The next perfect solution seamed to be SMS messages. I had a spare mobile phone and pay-as-you-go sim cards are free. So back to searching the net for some software to send SMS messages. I found 2 different Linux packages that would do this. The first is called Gnokii which is part of a package that started out as a way to back up and interact with Nokia phones. Gnokki’s smsd works from two simple mysql tables, one for inbound and one for outbound messages. It polls the outbox table at a configuable interval (I’ve set mine to 5 seconds) and sends any unprocessed messages. The second SMS package for Linux is called Kannel. Kannel is a lot more than just a program to send SMS messages, it is also a full WAP stack. It is very powerful but requires 2 processes and webserver to be able to send and receive messages. So to start with I chose Gnokii as the set up was a lot simpler. 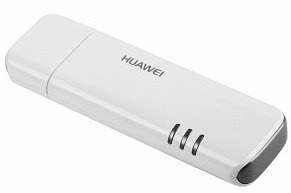 You basically just need to get a serial connection to your phone, this can be either via a USB cable or you can set up a connection via Bluetooth using the rfcomm command. I am using a Sony w880i as my phone and it comes with a USB cable which doubles as a charger which makes things easier. When I plugged it into my box it showed up as 2 Serial ports (/dev/ttyACM0 and /dev/ttyACM1) they both seam to behave the same. Who seamed to have already solved this problem. Gareth had put together some Python that scans for Bluetooth devices with in range of the computer and sends alerts as devices arrive or leave. Since most people carry a Bluetooth device arround with them all the time in the shape of a mobile phone this seamed like a good idea. At the time I was looking at this bit I didn’t have time to go digging in Python, so I hacked up a quick shell script verion that would just track one phone and then use the Motion REST API to pause the detection when ever I’m at home and turn it on again when I leave. The detection is done using the l2ping command from the Bluez package and giving it the Bluetooth mac address of the phone I want to track. MAC is the bluetooth address of my phone, you can discover this by running the following command “hcitool scan” which will produce a list of all the bluetooth devices your machine can currently see and their names.